You rely on your engine to supply constant power and you expect your engine to never fail, especially in a pinch. So you might ask yourself, what is the best way to avoid untimely engine problems and how do I combat them when they happen to my equipment? There is one simple answer: customized support from a team of experienced engineers. At Perkins Pacific, our after-market support team ensures that you and your Perkins engine are protected with after-sale repairs, preventative maintenance, aftermarket add-on installment and much more. 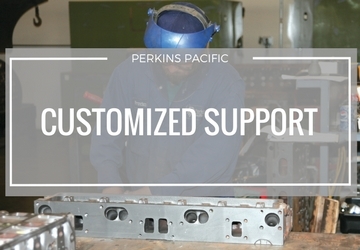 Whether you are seeking engine operational training, or are in need of warranty claim assistance, Perkins Pacific technicians can help. Our dedicated customer support engineers are on call to provide expertise when you need it. With trained maintenance and support personnel that have knowledge of the latest Perkins engine technology, we provide a quick turn-around for your support and ensure getting the help you need is simple and efficient. Are you interested in learning more about our technicians and certified training center? Click here to see what Perkins service could do for your engine.